The very best of the new batch of midnight mobile releases. Ready to get stuck into some new games? As always, the biggest titles hit the App Store at midnight last night, and this week it's safe to say there's something for everyone. Take a look through our pick of the very best new games, and let us know what you think of them in the comments below. 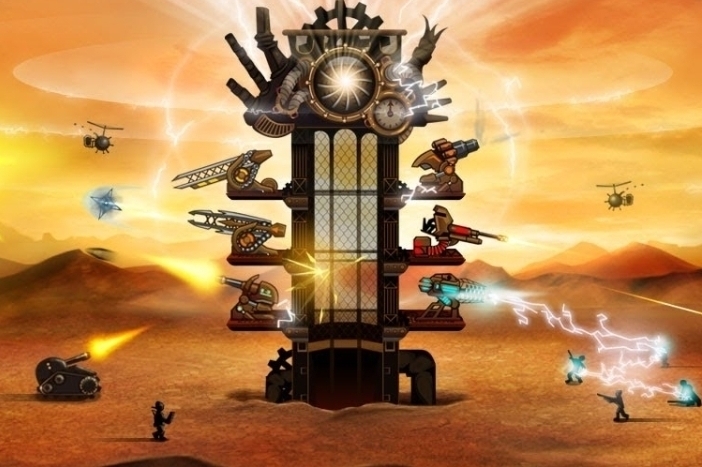 "Take charge of the immense Steampunk Tower and help the eccentric Lord Bingham protect his precious Etherium Mine. As the Imperial Army's foot soldiers and mechanical monstrosities march into battle, fortify your epic spire with machine guns, cannons, lightning coil, saw launchers and more." "In his frantic race for survival, Rakoo embarks on a fantastic adventure in a world that's as wild and beautiful as it is dangerous. Guide Rakoo through the perils and wonders that confront him with simple single-finger gameplay. Will Rakoo find the love of his dreams? His fate is in your hands." "You disturbed their eternal slumber, you evoked their vengeful wrath, now you must Escape from Doom! Transported back in time to Egypt during the treasure-hunting craze of the 1920s, you barely escape from a crumbling tomb only to find yourself surrounded by the mummified guardians of the stolen treasure. Will you escape with your life? Or join the ranks of the dead?" "Play as 2 dots and travel through the ages of typographic styles and techniques. From the rock paintings of prehistoric times to Pixel art of the 2000's, solve all the riddles by riding the most popular fonts and characters (Garamond, Helvetica, Times New Roman, Pixel, Comic Sans...) in a very captivating musical and visual environment." "Drift Mania: Street Outlaws takes the heat to the streets allowing players to battle and compete in underground drift events based on various world locations. From Japan where it all began, to the Swiss Alps, Desert Canyons and the steep hills of San Francisco, Street Outlaws will take you to the edge of your seat while drifting around some of the most hazardous roads."